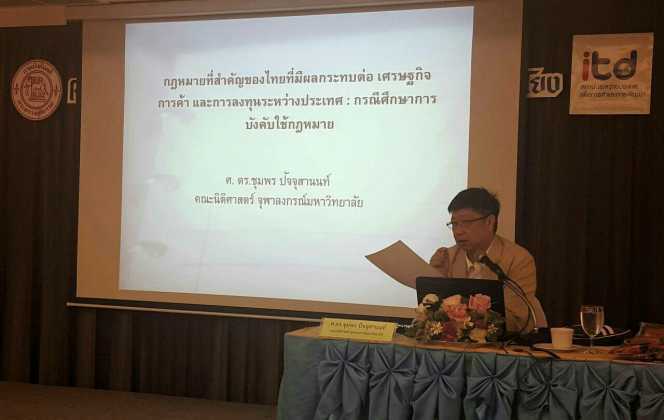 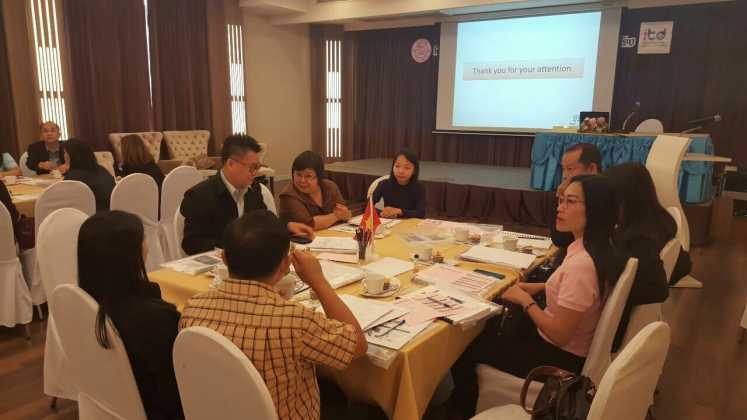 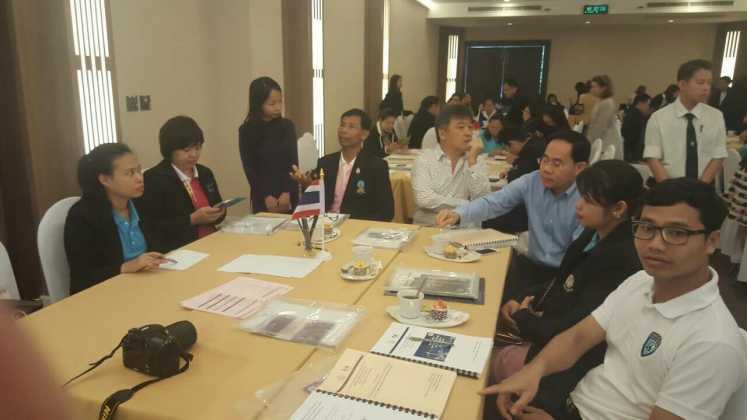 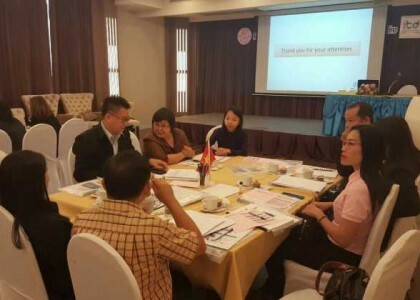 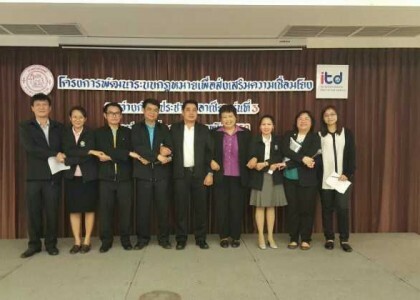 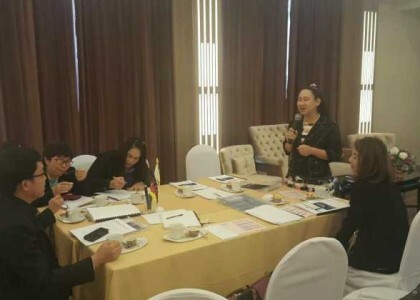 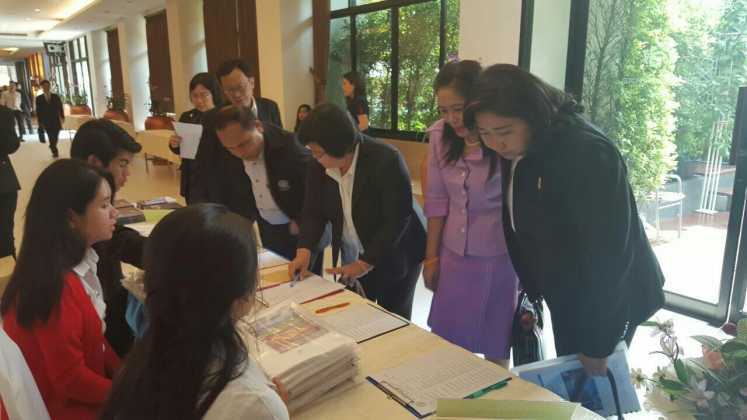 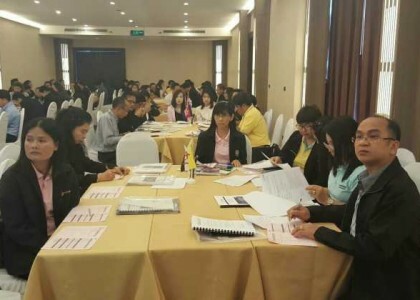 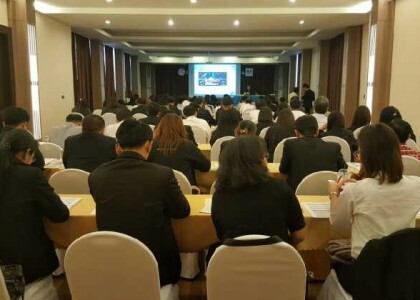 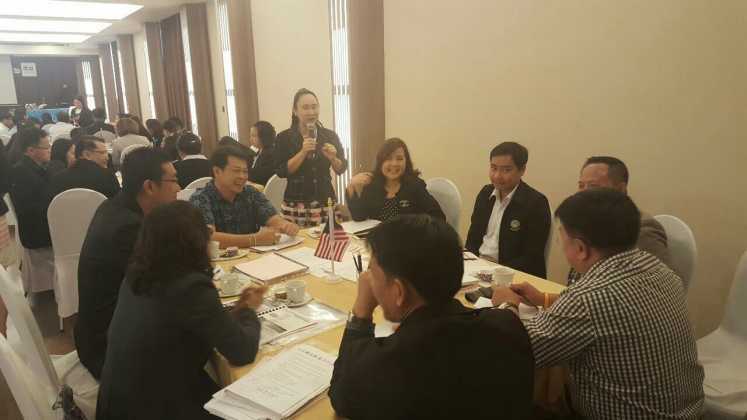 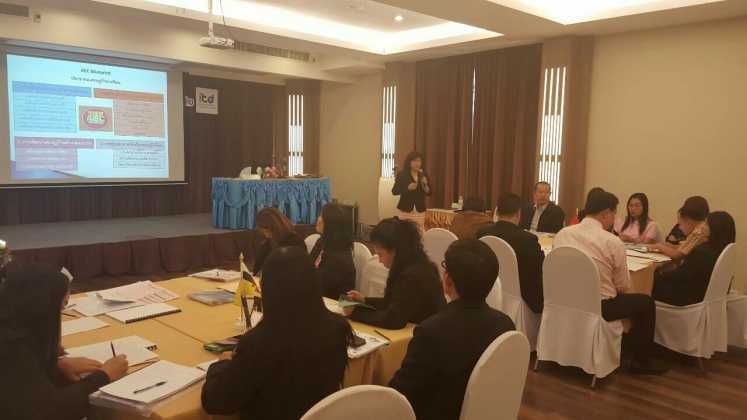 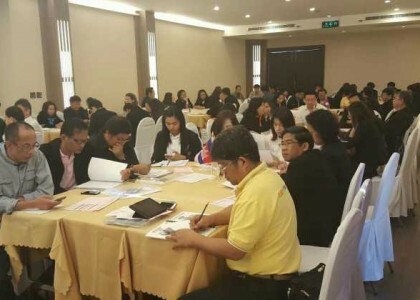 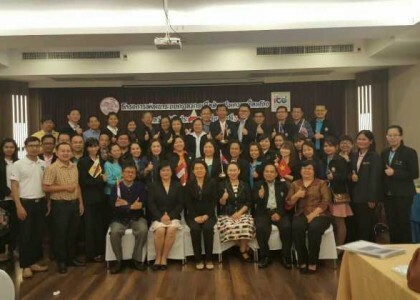 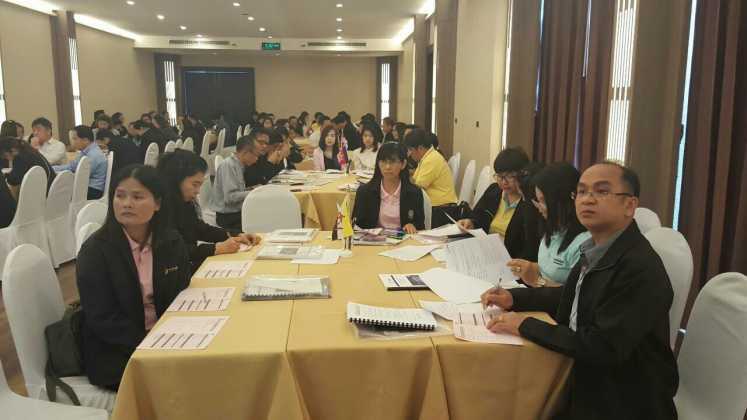 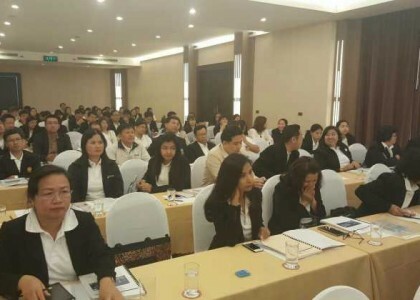 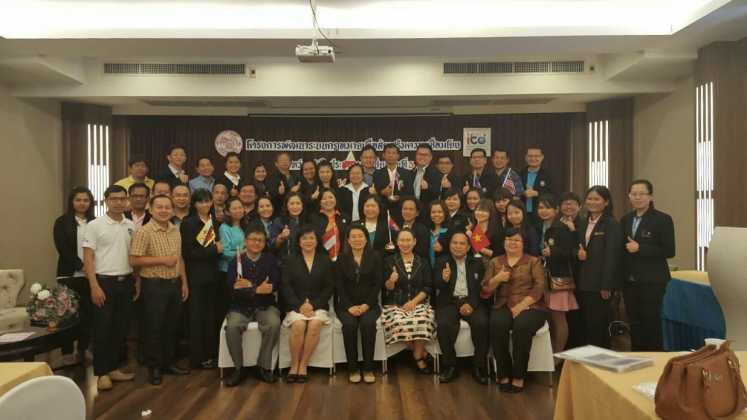 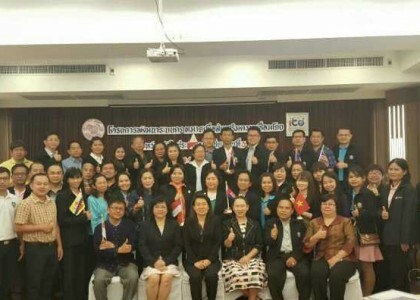 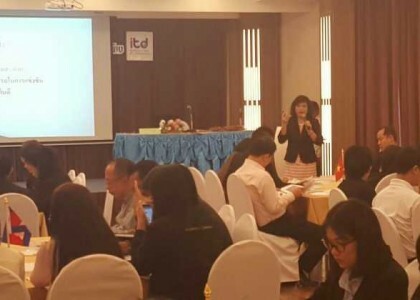 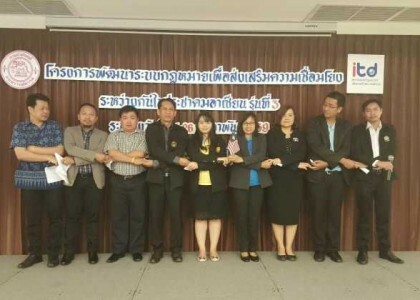 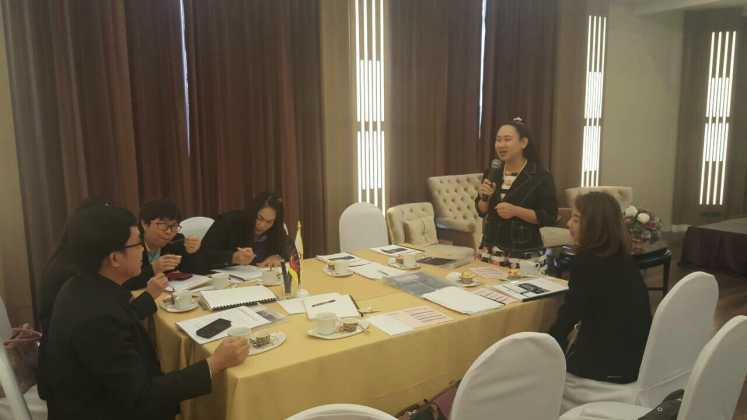 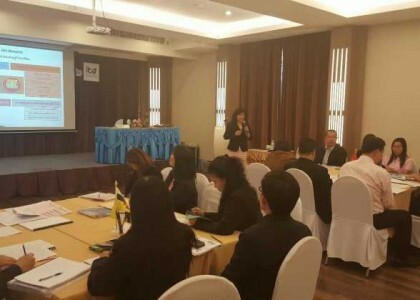 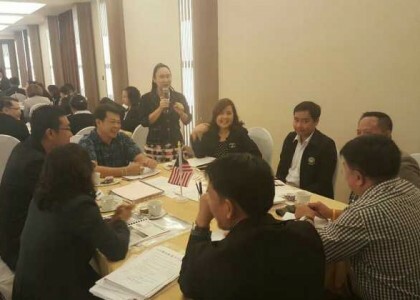 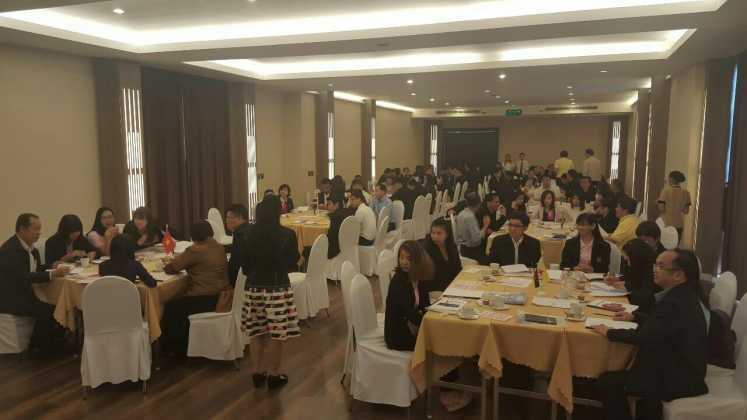 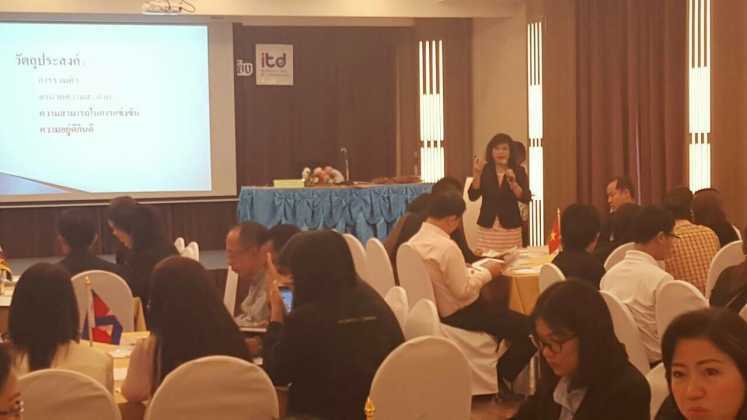 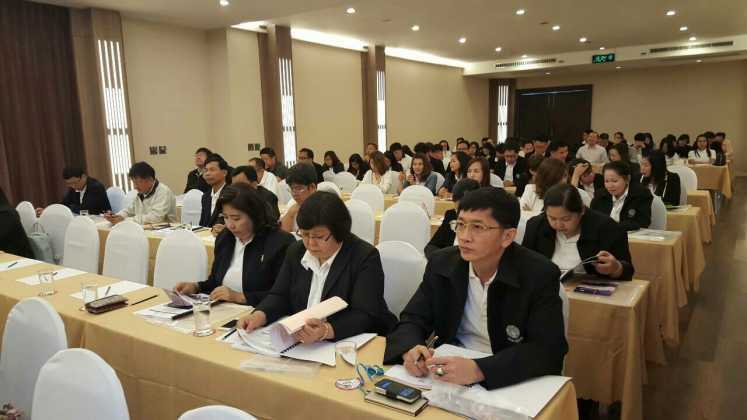 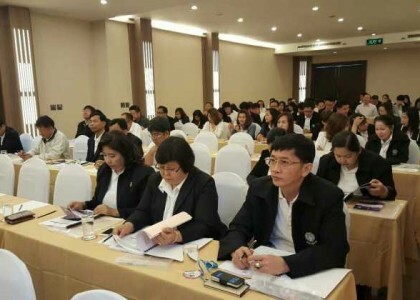 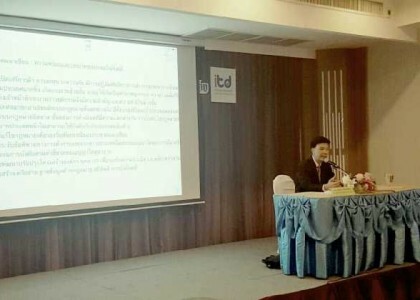 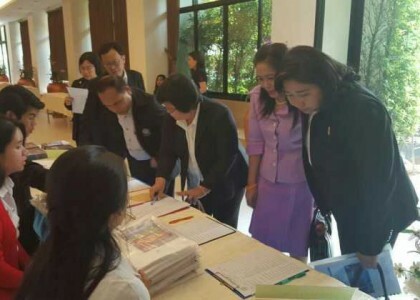 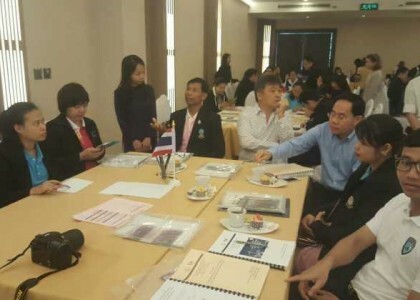 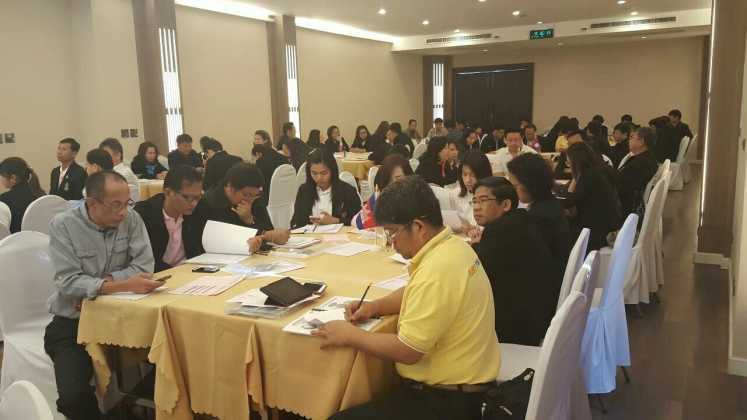 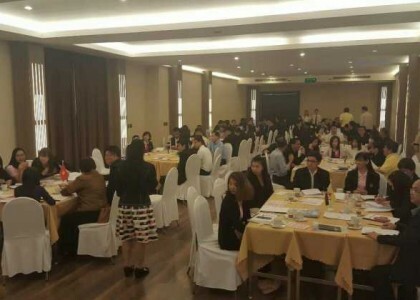 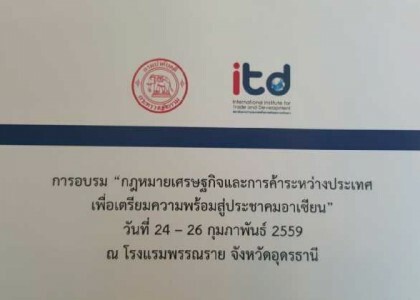 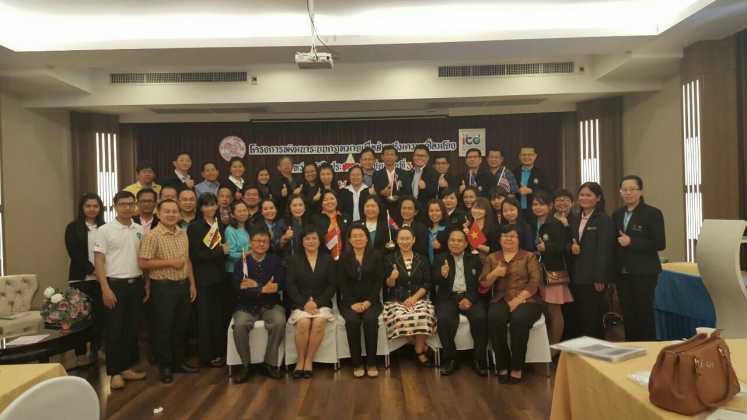 The Office of Knowledge Management ITD continues the project of building awareness of trade and sustainable development: Dynamics of developing human resources with cooperation of legal execution department, Ministry of Justice arranges the training “Economic law and international trade to prepare readiness for ASEAN 3rd during 24 – 26 February 2016 at Pannarai Hotel in Udonthani. 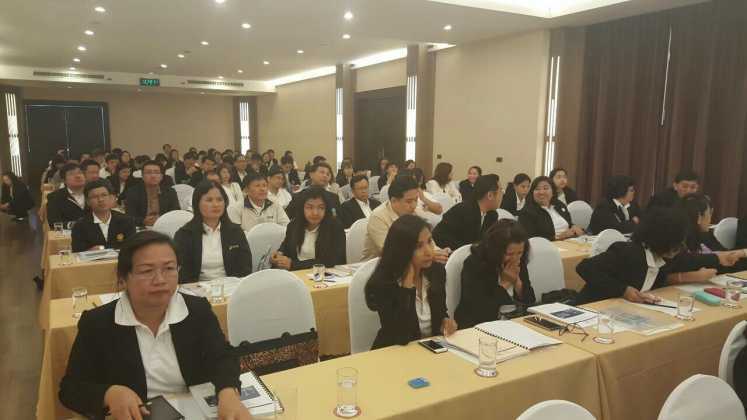 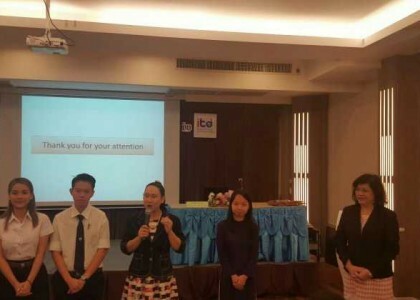 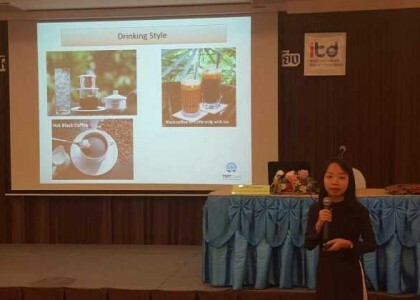 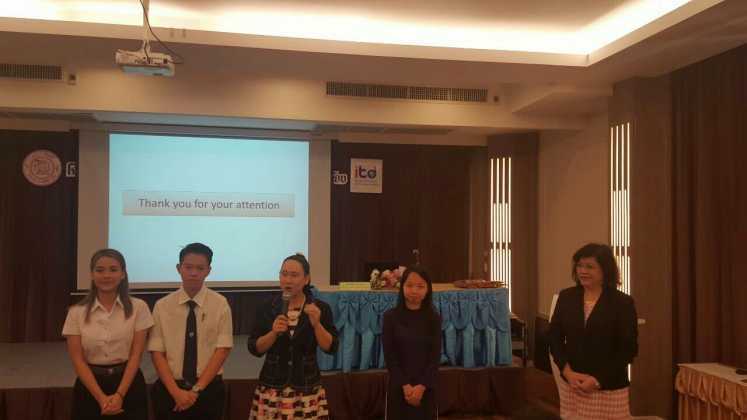 The purpose of this training is to encourage management, lawyers and supporting officers of legal execution department to know and understand about economic law and international trade and can bring knowledge to apply to their job and to push the role of legal execution department in national level. 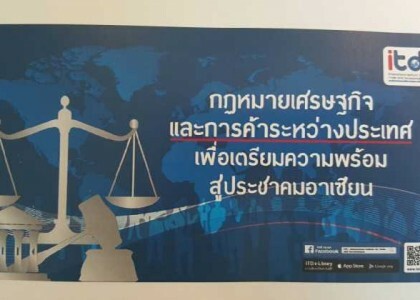 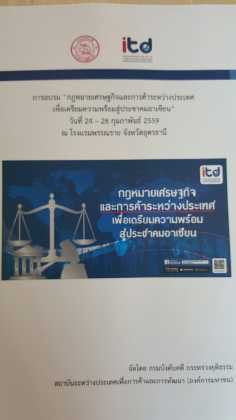 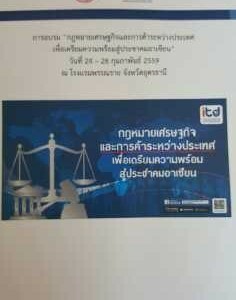 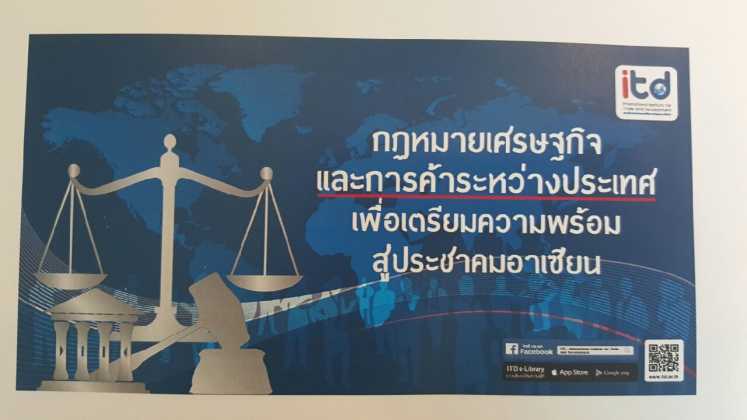 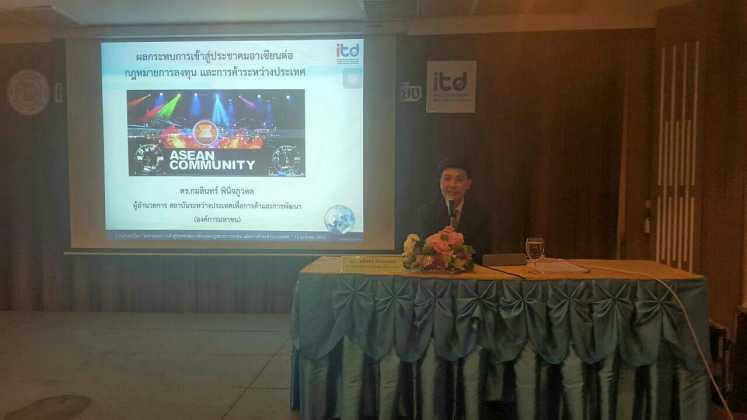 Also, it will help to push the role of Thailand in international level. 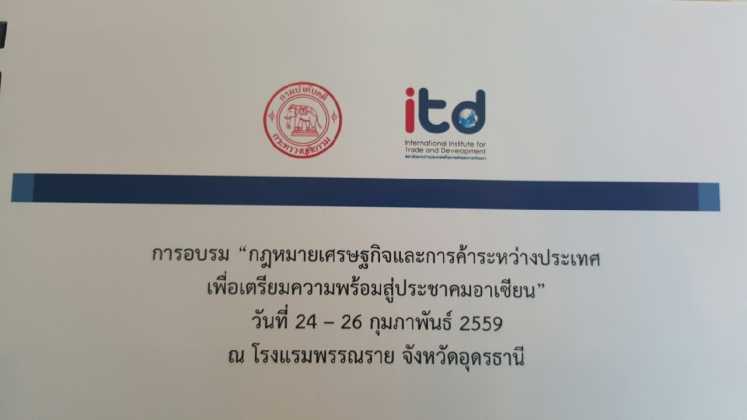 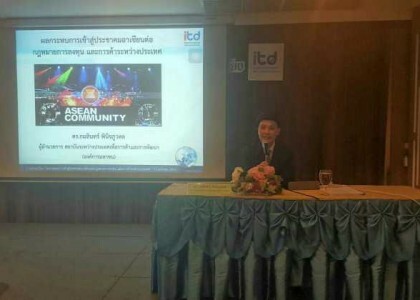 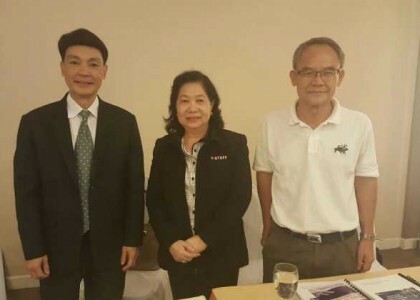 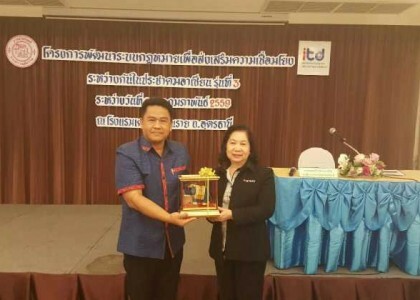 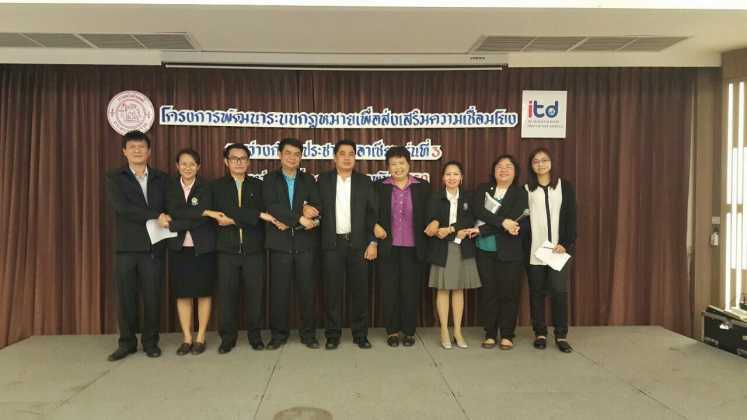 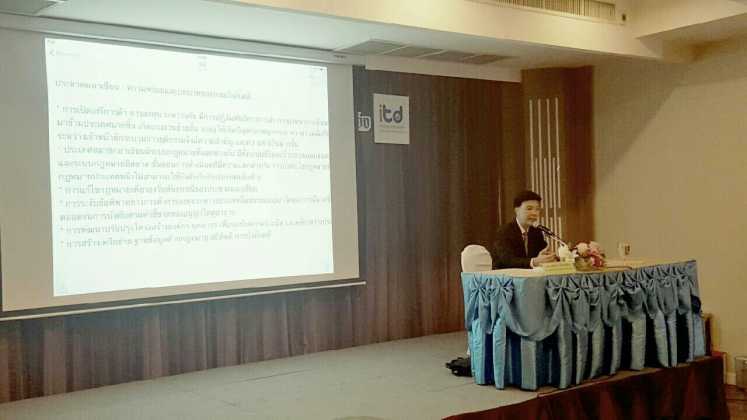 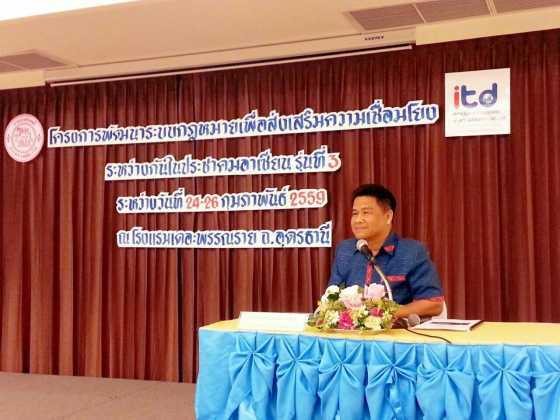 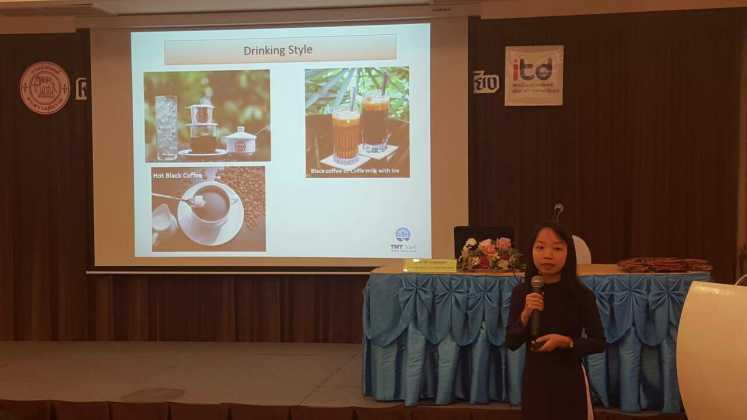 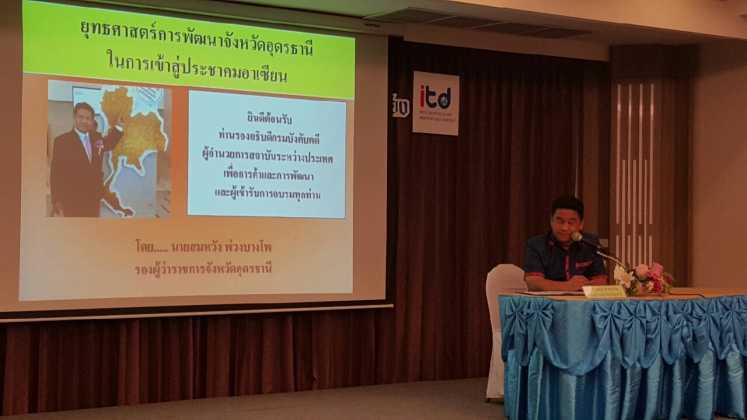 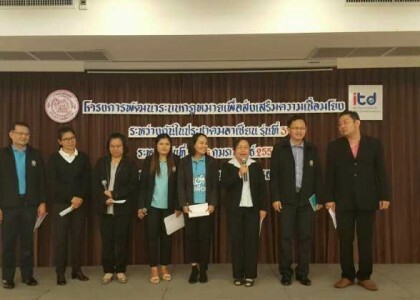 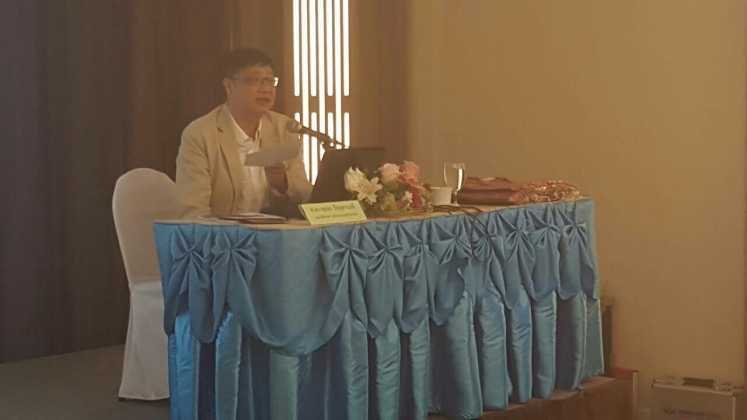 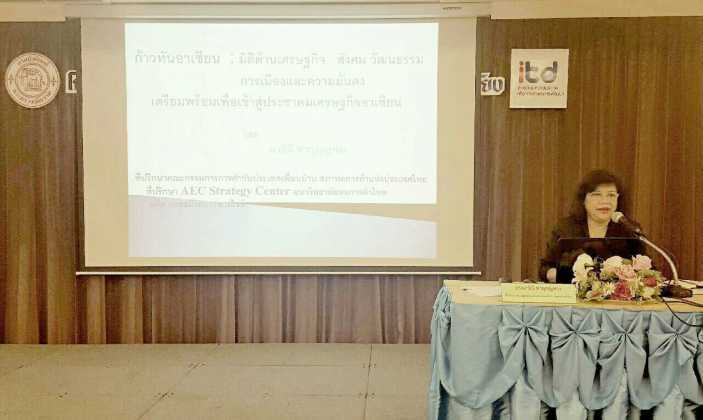 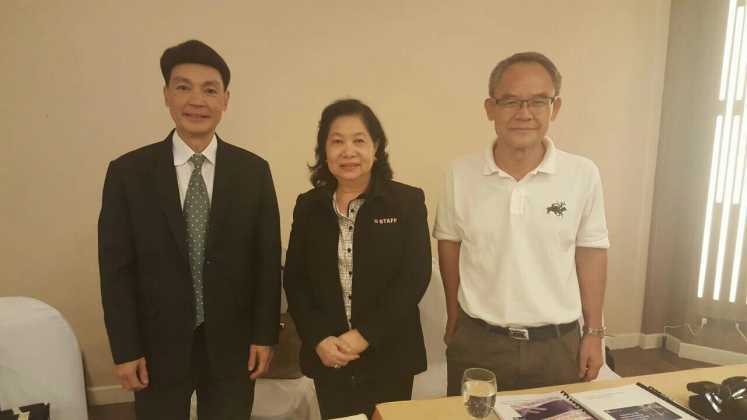 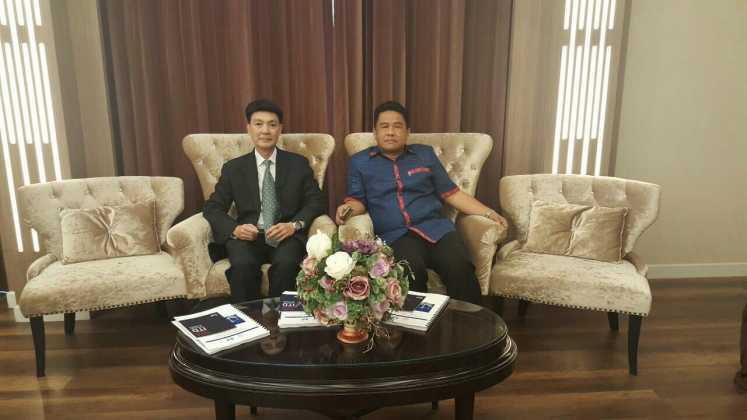 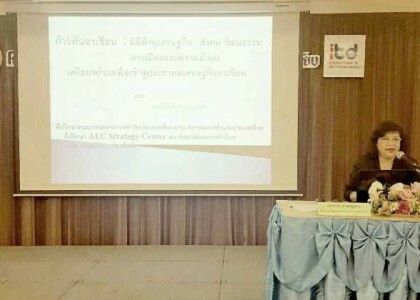 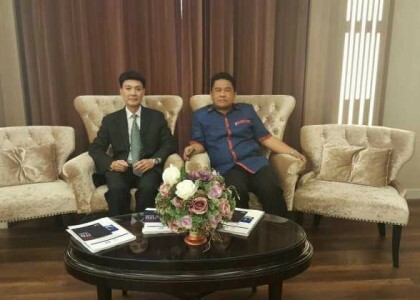 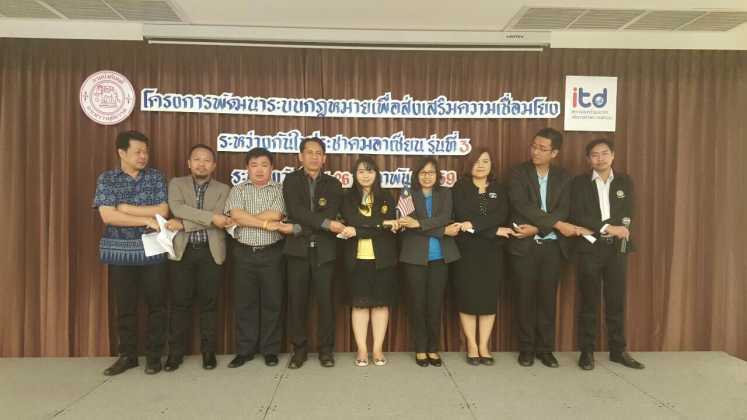 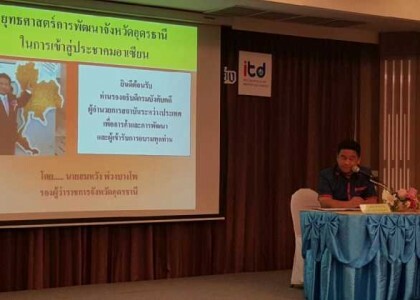 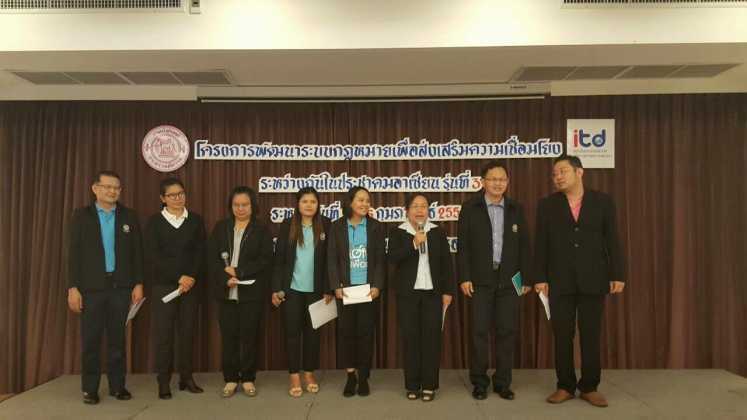 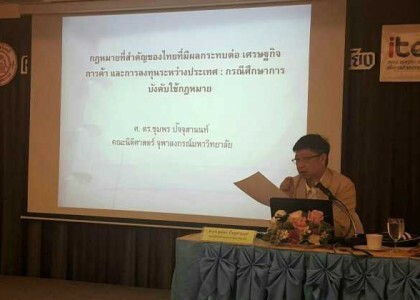 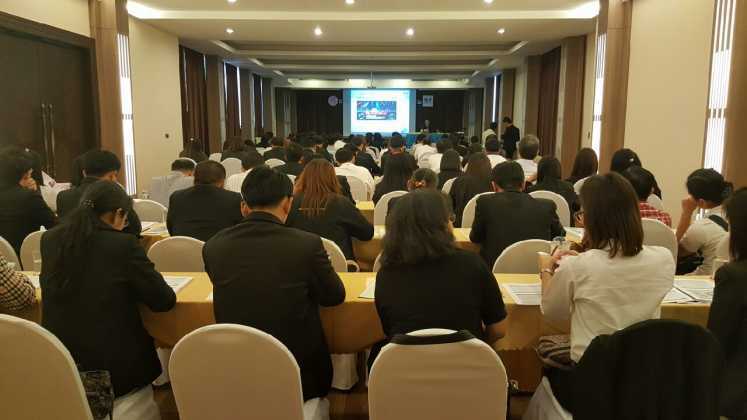 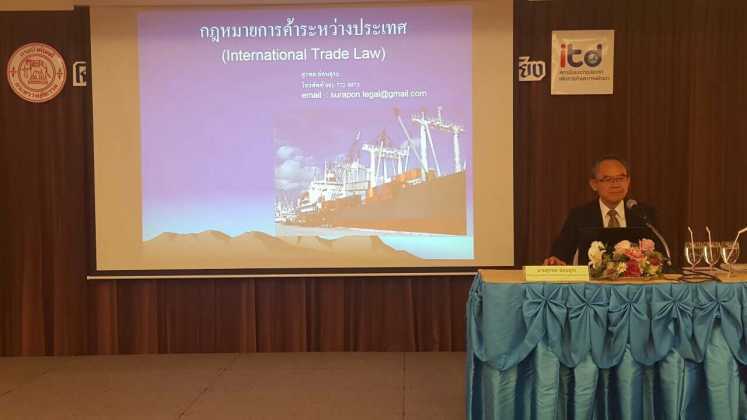 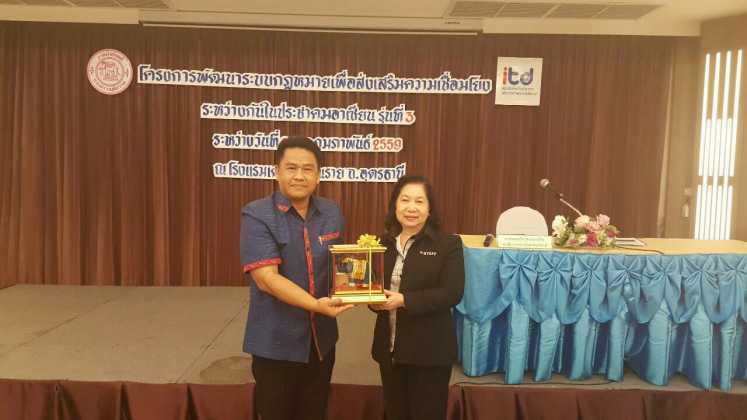 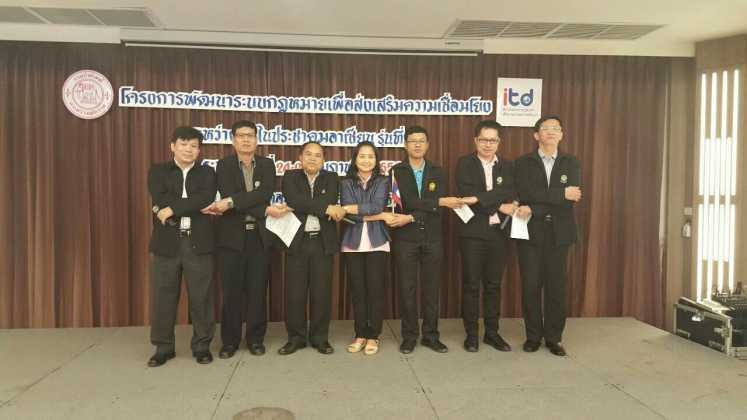 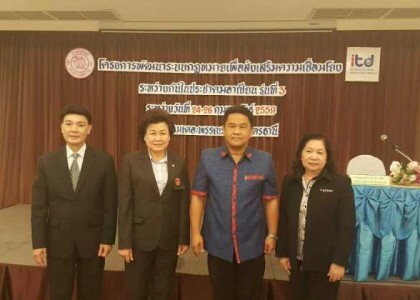 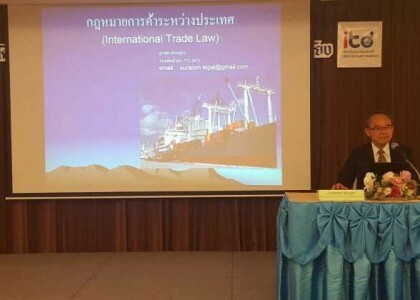 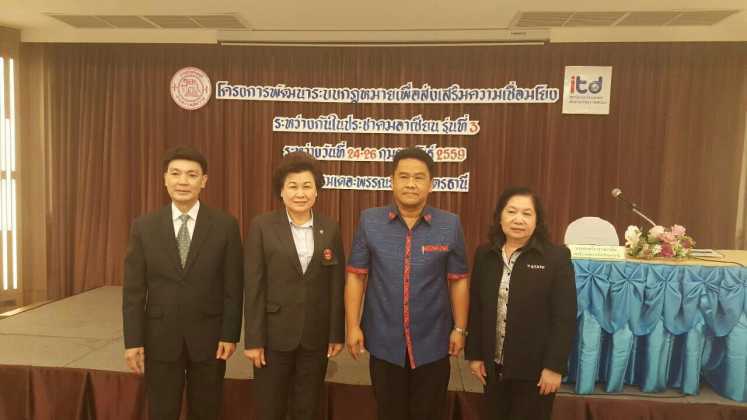 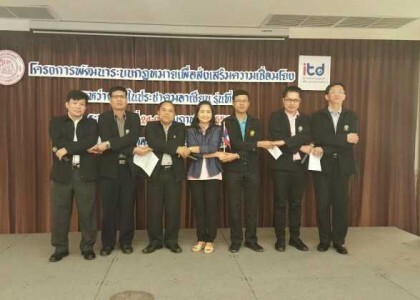 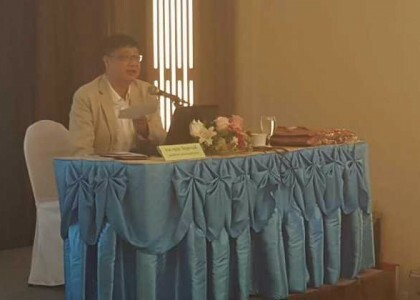 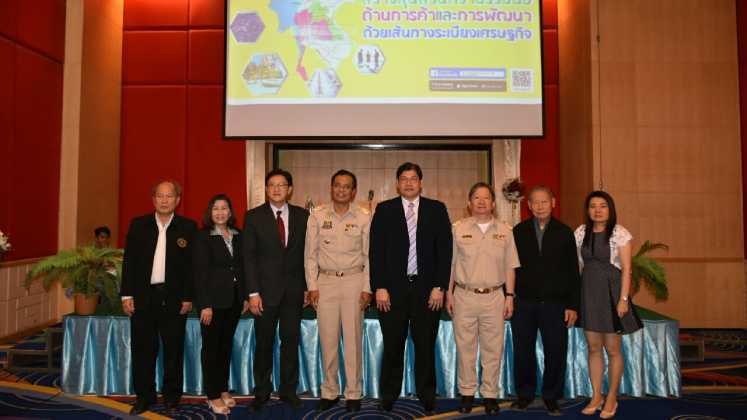 Khun Somwang Puangbangpho, a vice-governor of Udonthani opens the training and Dr. Kamalin Pinichphuwadol, director of ITD describes the topic economic law and international trade in the area of ASEAN community: the area of legal execution department.